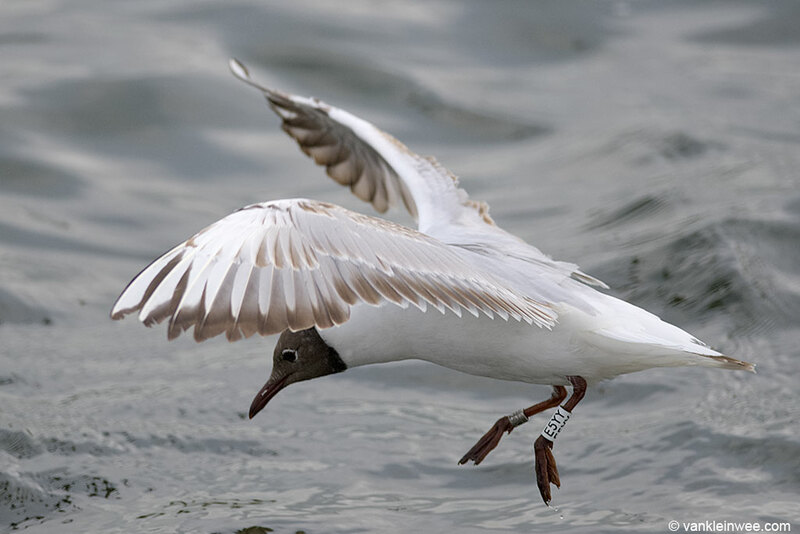 Below: Black-headed Gull, 2nd calendar year, E5YY, April 28, 2013, Benthuizerplas, Zoetermeer, The Netherlands (52.07N 04.53E). Photo: Maarten van Kleinwee. Ringed as pullus, May 2012, Benthuizerplas, Zoetermeer, The Netherlands (52.07N, 04.53E). 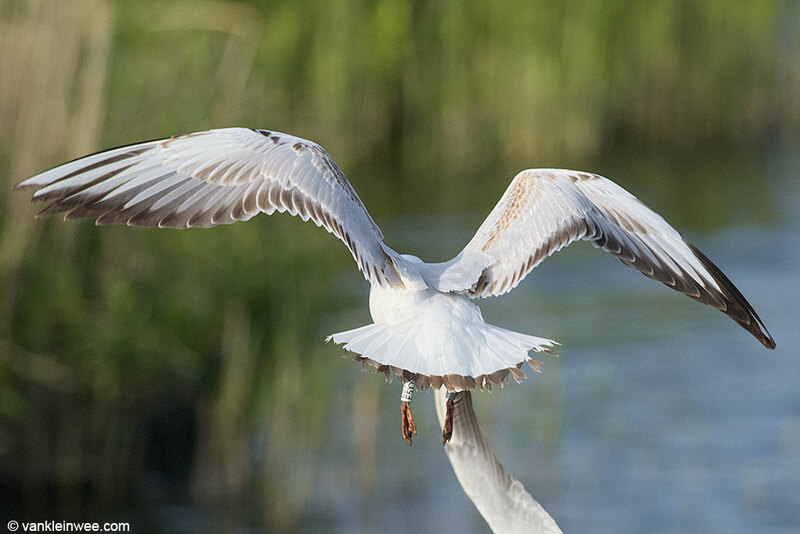 Below: Black-headed Gull, 2nd calendar year, E5YY, May 19, 2013, Benthuizerplas, Zoetermeer, The Netherlands (52.07N 04.53E). Photo: Maarten van Kleinwee. 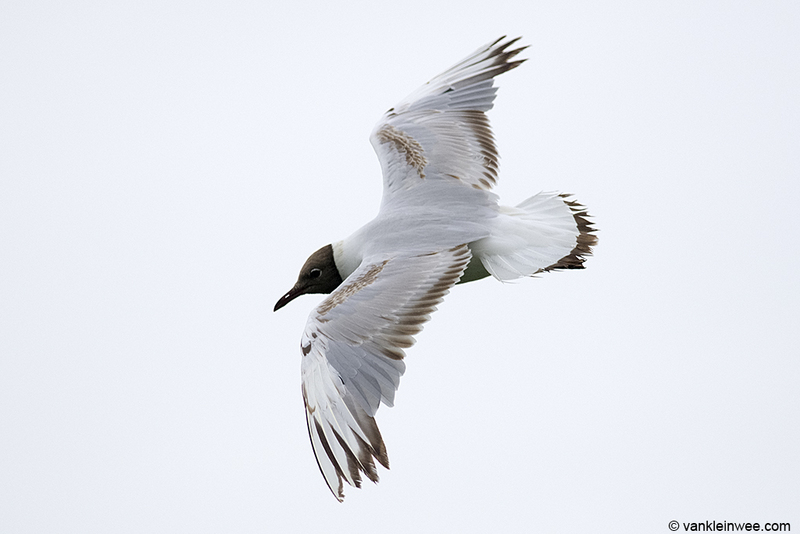 The inner median coverts have been dropped as part of the moult to second basic plumage. No moult yet in the primaries. 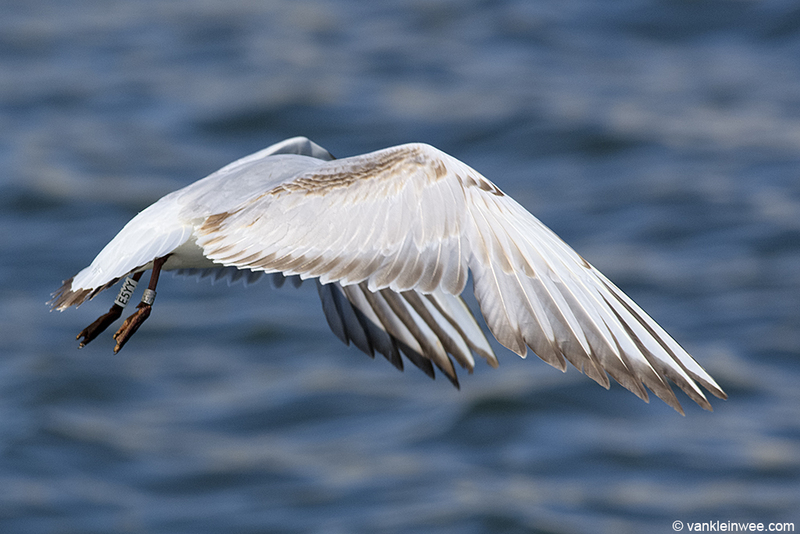 Also note the wear in the tail feathers. 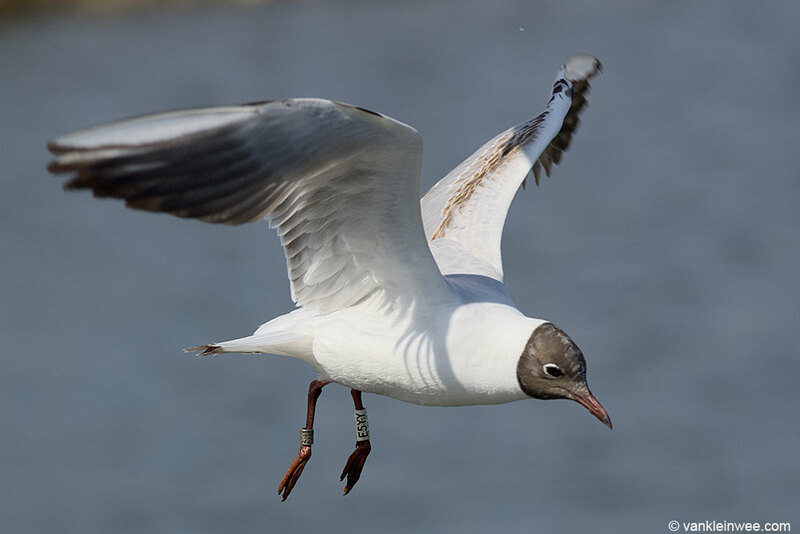 Below: Black-headed Gull, 2nd calendar year, E5YY, May 25, 2013, Benthuizerplas, Zoetermeer, The Netherlands (52.07N 04.53E). Photo: Maarten van Kleinwee. 6 Days after the above photos were taken on May 19th, P1 has now been dropped. Moult gaps can be seen in the median coverts. 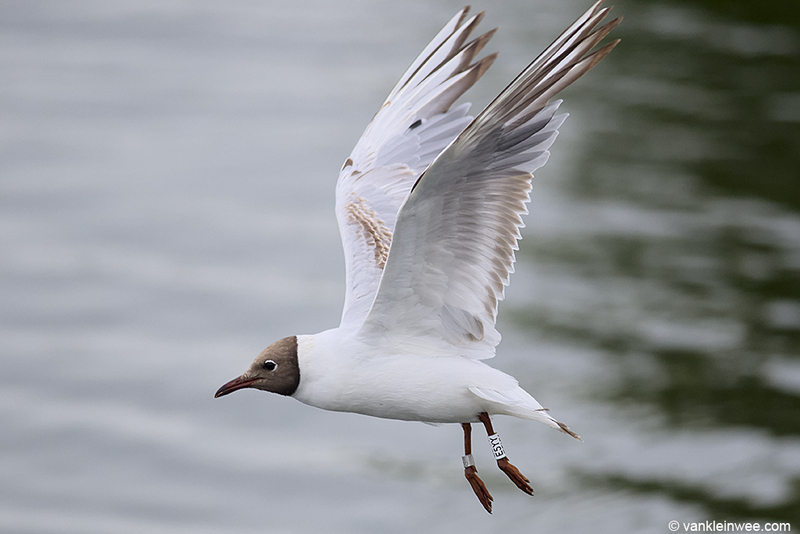 Below: Black-headed Gull, 2nd calendar year, E5YY, June 2, 2013, Benthuizerplas, Zoetermeer, The Netherlands (52.07N 04.53E). Photo: Maarten van Kleinwee. P1. P2 and P3 have been dropped. Moult gaps can be seen in the median coverts. 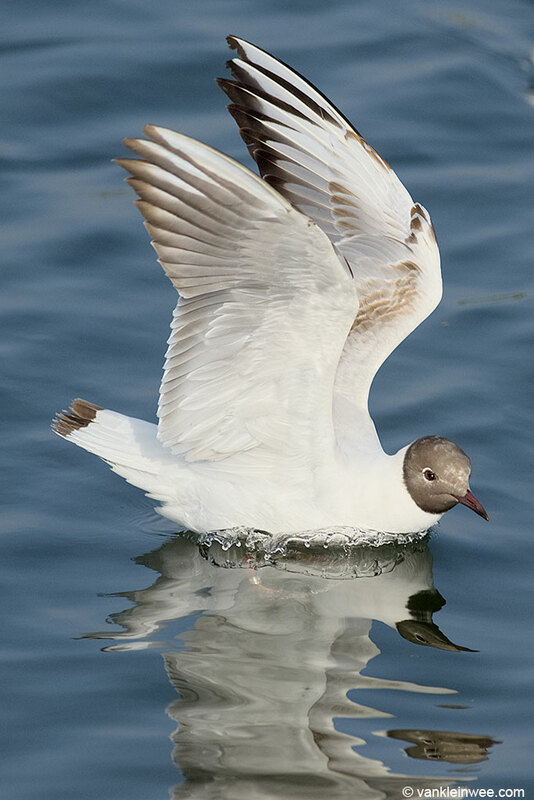 Below: Black-headed Gull, 2nd calendar year, E5YY, June 30, 2013, Benthuizerplas, Zoetermeer, The Netherlands (52.07N 04.53E). Photo: Maarten van Kleinwee. 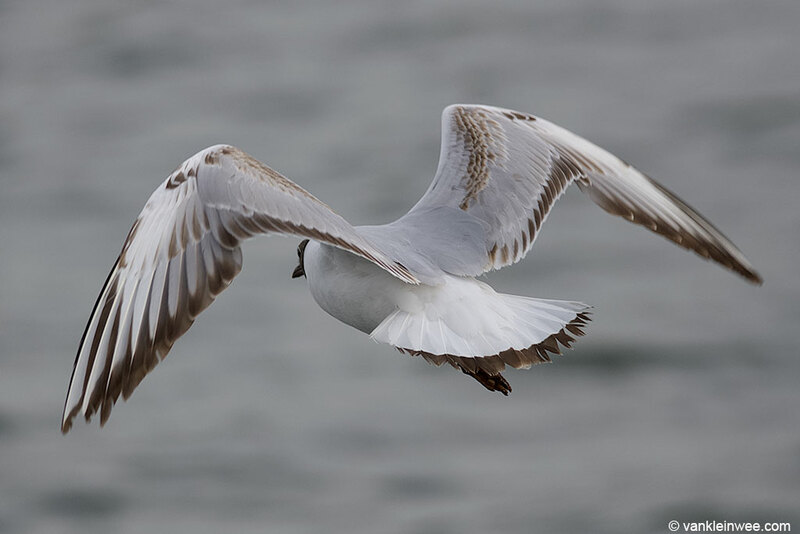 Primaries P1, P2 and P3 and their primary coverts are now fully grown, adult-looking second-generation feathers. P4 is almost fully grown, P5 is half-grown, P6 has been dropped. New median coverts are also visible.